Man 1: And you, dear reader, which are you? 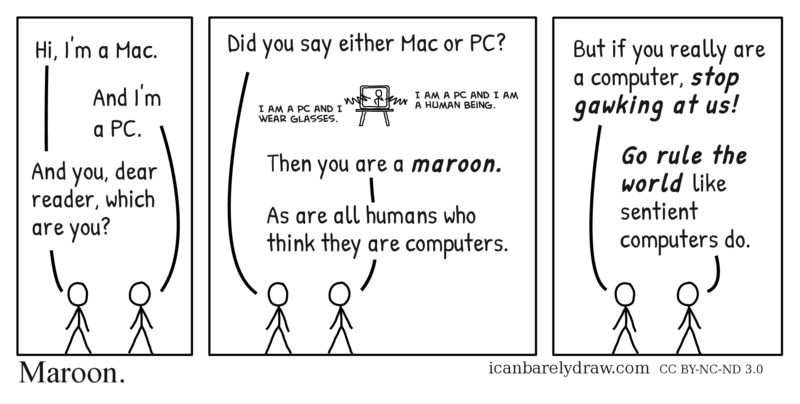 Man 1: Did you say either Mac or PC? A TV set is seen in the background. Voice from TV set: I am a PC and I wear glasses. Voice from TV set: I am a PC and I am a human being. Man 2: Then you are a maroon. 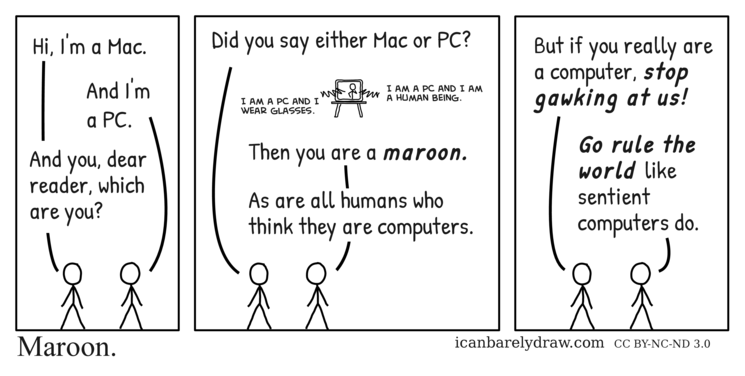 Man 2: As are all humans who think they are computers. Man 1: But if you really are a computer, stop gawking at us! Man 2: Go rule the world like sentient computers do.